Discussion in 'PlayStation Vita Help' started by talicni67, Aug 23, 2018. Please, can someone help me how to solve this problem? I do not think it shows anything. Take a screenshot then hook it to your PC and see if you can see the screenshot. Maybe I didn't explain well. When connect vita with usb cable, nothing happend. I can't see for example contents of vita memory card or anything else. It's all blank. Must transfer everything through ftp on vita. 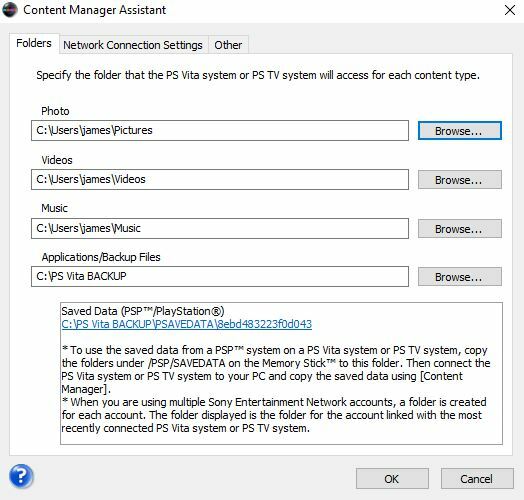 You need to download and install the PlayStation Content Manager on your PC.